Pro Sports is now a multi-billion dollar industry. Sports are a fun distraction from our every day lives and gives you a sense of community. It is also inspiring to see someone at the top of their sports field. What’s more fun than sitting back and watching sports? But we can all learn something too. Let’s discuss. All elite athletes today have two things in common. Their bodies are in tip top shape. Their teams gave them millions and millions of dollars. This was as an investment. So the two of these go hand and hand. Millions and millions of dollars in research is spent over and over on keeping athletes playing longer. Therefore more money and research is done on helping athletes achieve higher and higher levels of precision with their bodies. Athletes are fun to watch. But they are also a great role model for health. One field has stood the test of time over and over. 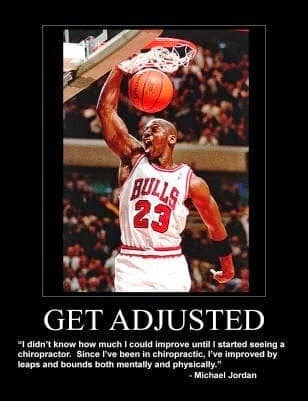 Therefore, almost all top athletes rely on chiropractors to keep their bodies working at 100%. If you want longevity in your sports, chiropractic care is a no-brainer. But it goes much much further than that. Do you want longevity in playing with your kids – your grandkids? Optimal function for your body is something that everyone is seeking. You would want when you are retired, right? Do you want to enjoy your weekends and not worry about your health as much? Of course you do! So take the example of top athletes world-wide. And take care of your body.